You have heard again and again: “A picture is worth a thousand words”, but what if you could add a thousand words to your photos, and some music? We think the whole slideshow is greater than the sum of the photos, words, and music. Now, all the pictures are ready to be presented in the slideshow. 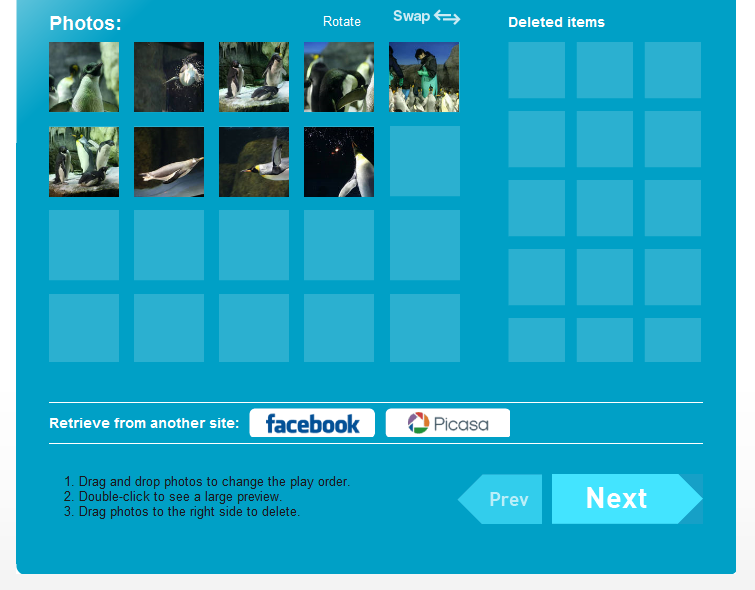 You can change the order the photos should appear in by dragging and dropping, and when you are satisfied, click “Next”. Now, enter the title of the slideshow and add music. 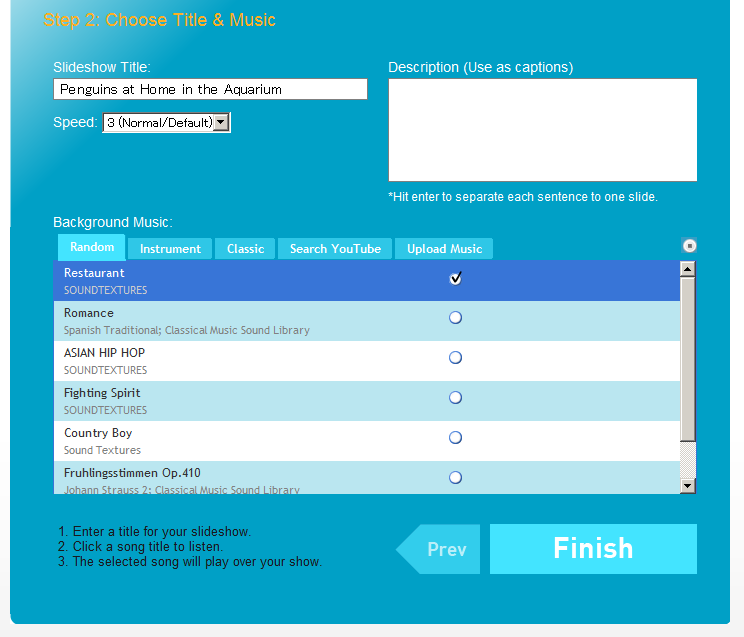 PhotoPeach allows you to directly search for the desirable track on Youtube without leaving the site. 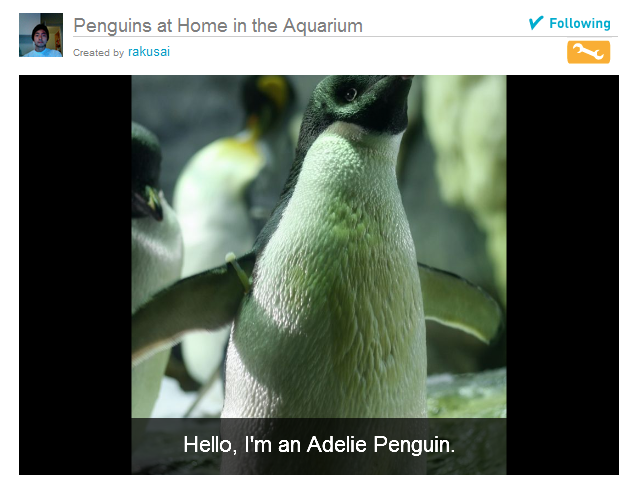 Now, add captions on the slideshow, and try embedding slideshow into your blog, facebook, myspace, or posting to twitter with the buttons below. 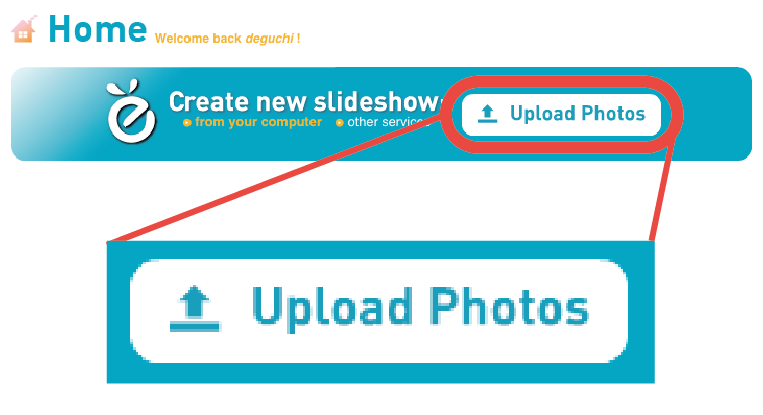 Please visit our help page if you would like to know more about PhotoPeach features. Our premium service allows you to download unlimited shows; upload your own .mp3 music files; create unlimited photo albums and unlimited photos per album; customize the transition effects; and ad-free. Upgrade now for $3 per month and enjoy full version of PhotoPeach! Please visit creativecommons.org to learn more about the free exchange of content online.